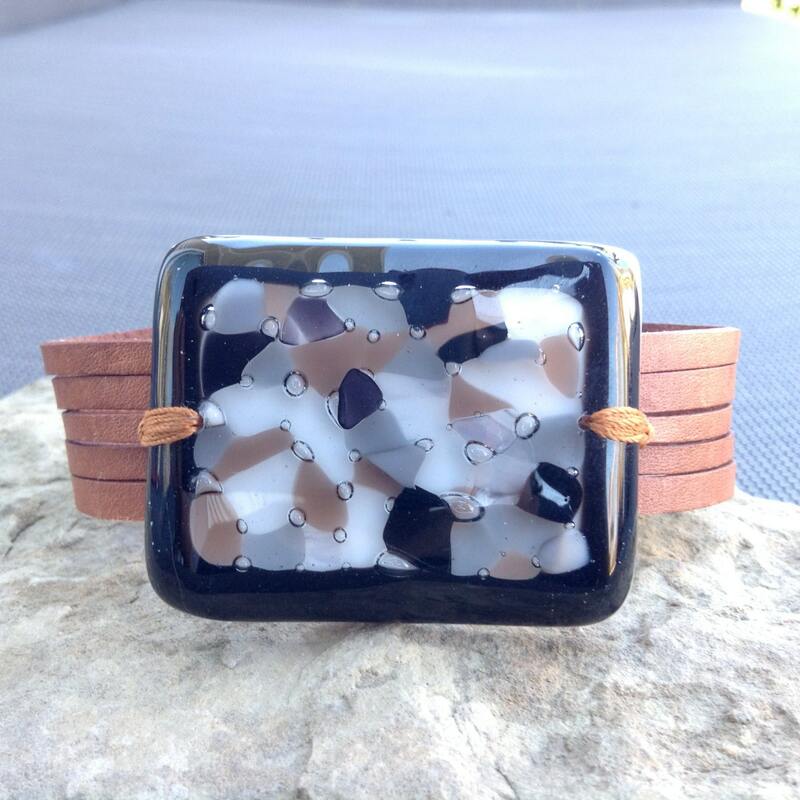 Large brown leather bracelet and fused glass, women jewelry cuff bracelet, fused glass brown and black statement jewelry . 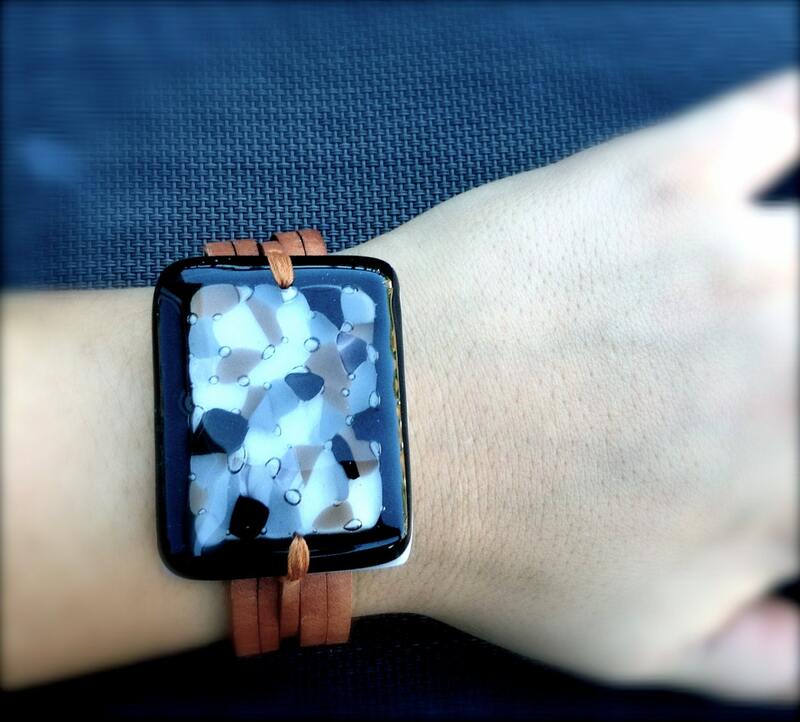 This bracelet will be custom made for you and ready to ship 2 weeks after payment. The piece of glass is 2" x 1 1/2'' wide (bigger and smaller piece can be made with the same style but the glass piece will be different since it's handmade). 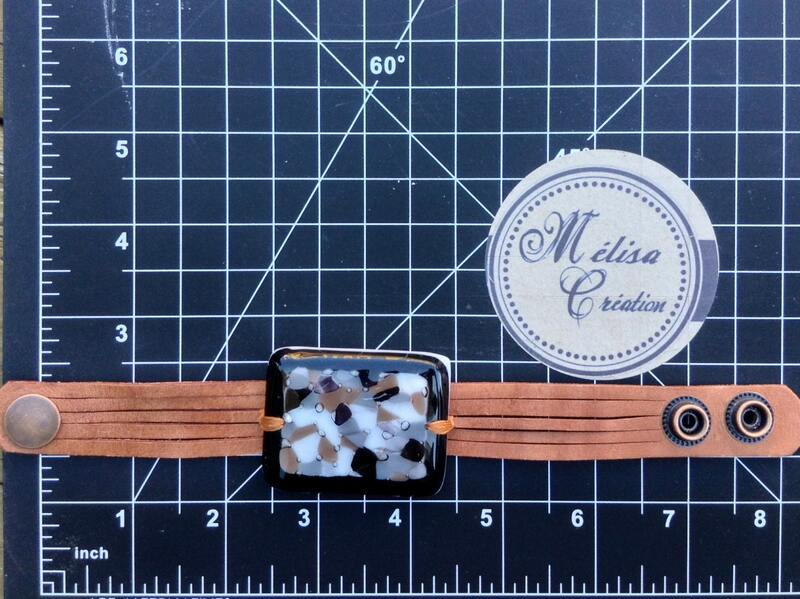 Bracelet with metal color snaps. 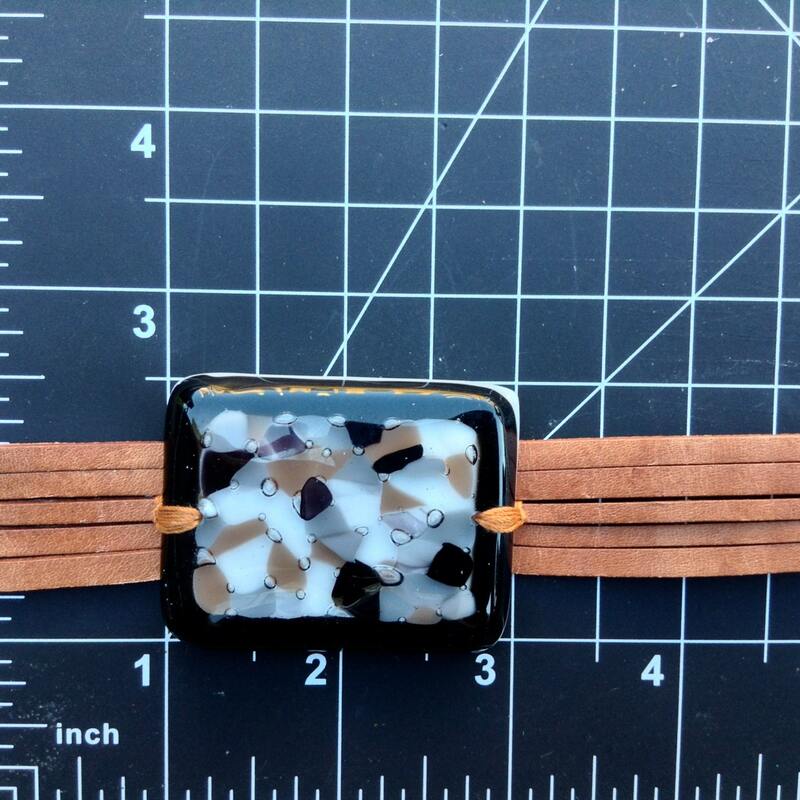 Since I do each part of the bracelet and the fused glass piece in my studio the final result might be a little bit different.